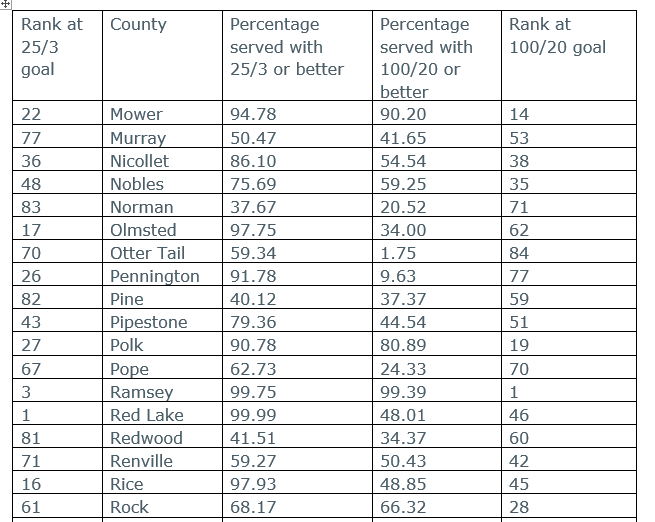 In 2014, 63 percent of Redwood County had access to broadband. (Broadband was defined with lower speeds back then.) Today 41 percent of the county has access to broadband speeds of 25/3 (Mbps down/up) and 34 percent have access to the 2026 speed goals of 100/20. So they are slipping. It has been the focus of this study for Redwood County is to pursue public/private partnerships, likely with the incumbent service providers. 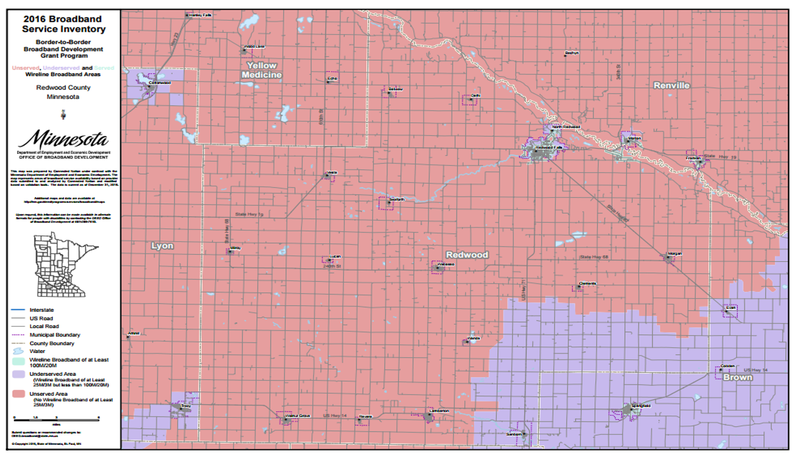 In any scenario, it is likely that the residents of Redwood County will need to contribute, in the form of taxes, in order to make development of a county-wide broadband network attractive to potential partners. Success in grant funding would also be a factor on whether the ultimate FTTH system or an FTTN/DSL system can be built. 1) A first step should include contacting RUS to discuss the project and available RUS loans and grants. 2) After that, meetings should be scheduled with each potential service provider partner to share the report and discuss cooperative efforts toward entering into a long term agreement. 3) Engaging the League of Minnesota Cities or other organizations that may be useful in determining the best path to choose in organizing Redwood County legally to enter into agreements with RUS and partners. 4) Engaging, local, state, and national politicians and their staff’s may be helpful in gaining support for any non-traditional track to implementing broadband in Redwood County. The Arvig awarded project will serve 15 unserved households and 20 unserved businesses near Morgan. Arvig-Redwood Telephone will improve service levels to this rural area, which is home to Minnesota’s annual Farmfest and relies on quality broadband service for precision agriculture applications and to monitor crops and livestock. The total eligible project cost is $62,218, with a $34,220 local match.